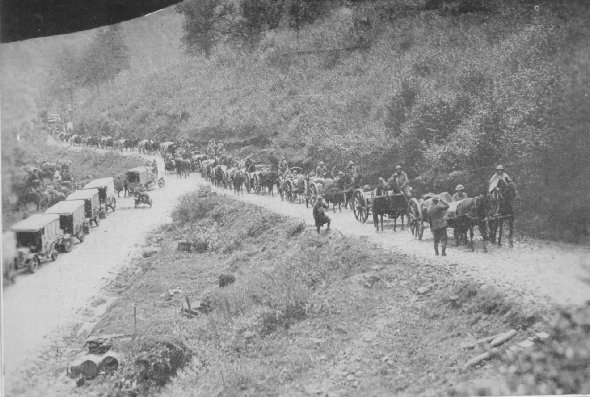 2nd Battalion 311th Transport, 78th Division, on road to Limey, St. Mihiel Sector, September 13, 1918. Supply train and line of Infantry pressing the retreating enemy. 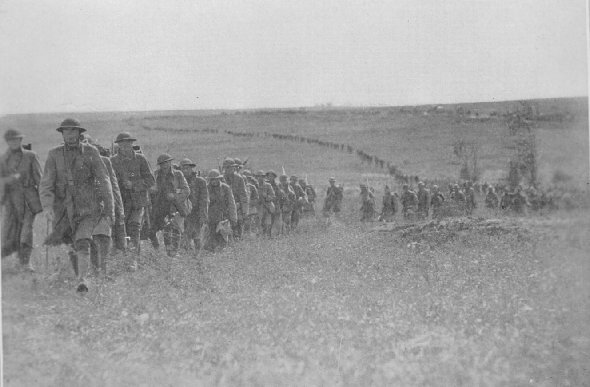 First Div., St. Baussant, Sept. 13, 1918.